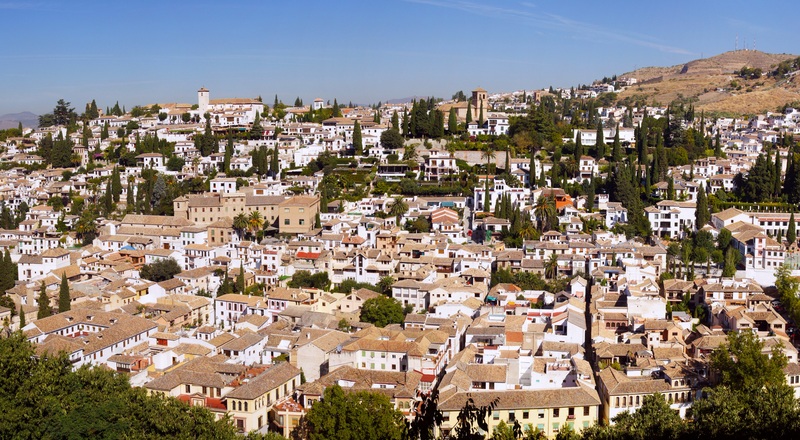 Granada was the last Arab stronghold in the Iberian Peninsula and the great legacy of Al-Andalus (from 711 until 1492) is hence apparent throughout the entire city. 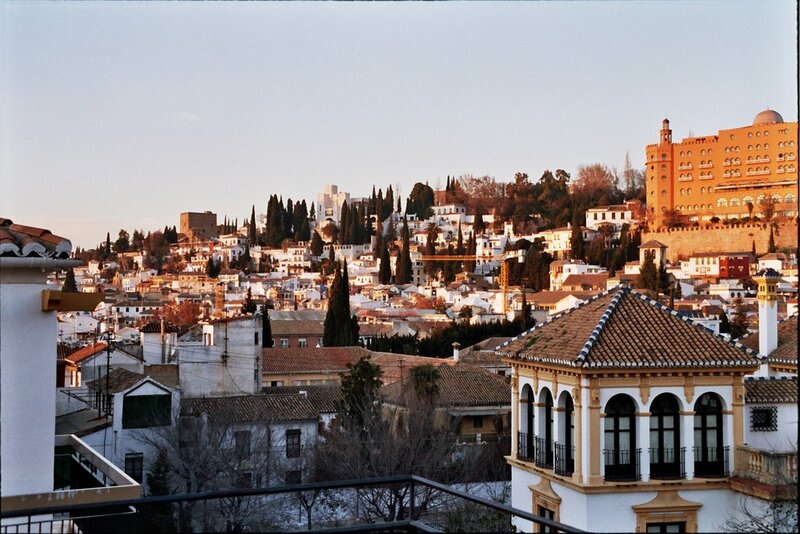 In addition, its Jewish and Catholic cultural heritage make Granada a very unique, stunning and interesting city. Not to mention its immediate natural surroundings and the National Park of Sierra Nevada. If you only have a day in Granada, you should definitely try and make the best out of your 24 hours in this amazing city. 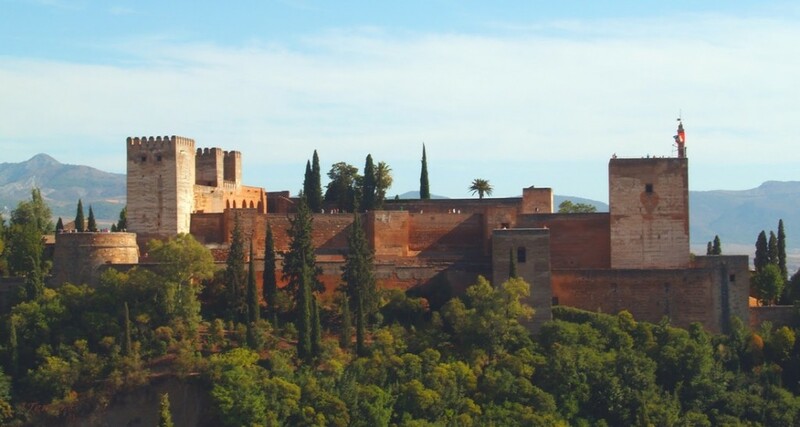 The first thing to see will of course be the impressive Alhambra with its Nasrid palaces, Alcazaba fortress and Generalife gardens. It takes at least 3 hours to visit the whole monument and it is very important to book in advance. 1) you may just book the tickets online and pick them up in time at the Alhambra tickets office (around 14€ per person). You can optionally hire an audioguide there. 2) you can book a guided tour and join a group during 3 hours if you wish to know more details about the history and architecture of the Alhambra (about 49€ per person). 3) there are also private tours where you can fully interact with your guide (250-350€). Visiting the Alhambra will take you either a whole morning or a whole afternoon. There are also night visits, most recommended in the spring / summer months when the weather is mild at night. Granada has a very pleasant weather and the sun shines most of the year. However, we shall not forget that the mountains are very close to the city and when the sun goes down the temperatures may drop abruptly. After walking throughout the Alhambra for more than 3 hours, it will probably be time to grab something nice to eat. If you are still within the Alhambra complex, I suggest you visit the terrace of the Parador hotel located inside its walls, where you can eat both Spanish and Arabic food while enjoying its astonishing view to the Generalife palace and gardens and its privileged location. The price for the menu is around 33€ per person including a starter, a main course and a dessert and you can choose each one of them. Grabbing only a quick snack is also possible. 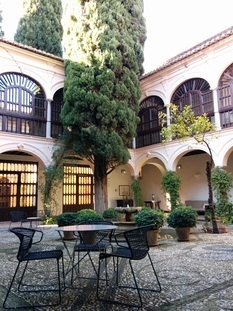 Do not forget to visit the Parador hotel thoroughly, it was a 14th century Nasrid palace before the Catholic Kings turned it into the San Francisco Monastery after reconquering Granada from the Muslims in 1492. If you prefer to eat in the city centre, there are many tapas bars and restaurants where you can find locals socializing and eating excellent food (we will soon publish our article about the tapas in Granada). Now that you have seen the Alhambra, it is time to explore Granada and find out that it has much more to offer. Granada’s oldest neighbourhoods, namely Albaicin, Sacromonte and Realejo are definitely a must see. 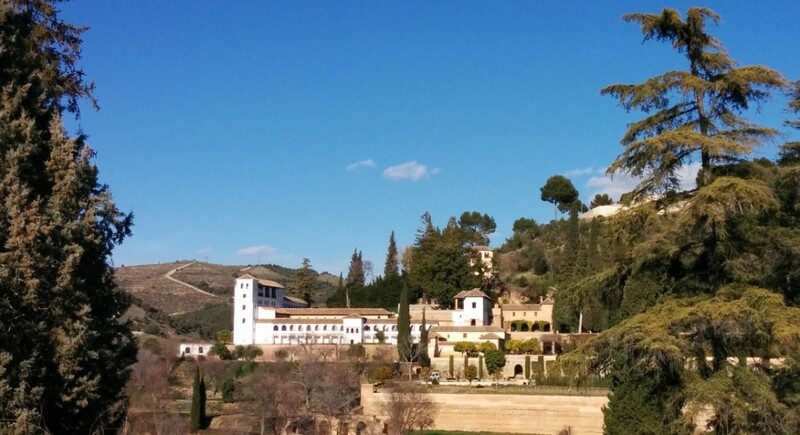 These Unesco World Heritage neighbourhoods are scattered throughout the different hills that make up Granada. Their windy, narrow and steep streets offer amazing views of the Alhambra below the Sierra Nevada mountains but walking throughout them implies a considerable effort. Driving through is only legal for taxis and residents and many of the streets are so narrow that visiting them by car is not possible. Thus, an electric bicycle tour is highly recommendable for those who are able to keep the balance on the 2 wheels. The motorization of the bicycles will permit you to travel much longer distances without overexerting yourself and you will be able to visit most of the city while having “relaxing fun“. If you are only 24 hours in Granada, this is definitely an ideal way to get the best out of your time in Granada. Infinito eBikes offers a combination of city and mountain viewing tour so that you can explore Granada’s old town (Albaicin, Sacromonte, Realejo) and countryside in only 3 hours without having to break a sweat. 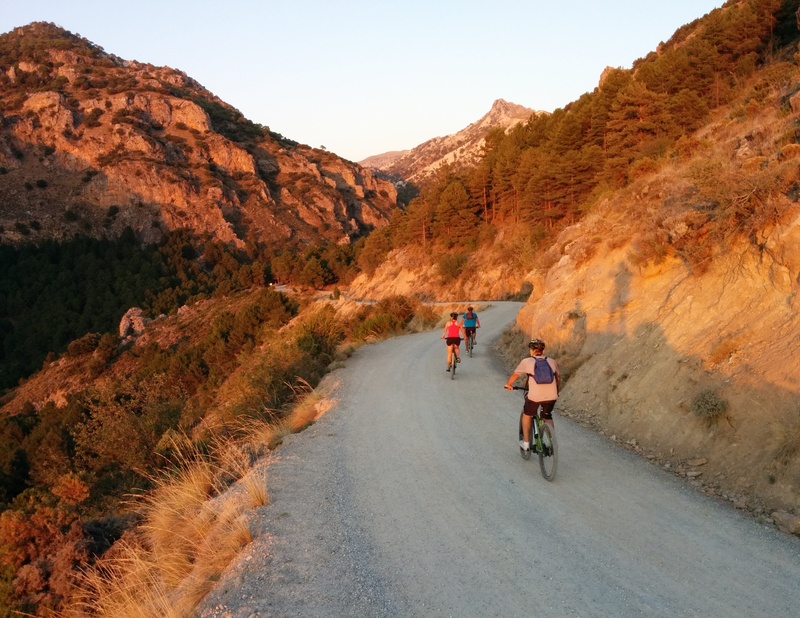 There are also 1.5 hour tours that focus either on Granada’s old city or countryside and tours of varying levels that delve deeper into the National Park of Sierra Nevada (from mid to high altitude biking). During the summer months, there are even tours that go to the Veleta peak at the very top. If cycling is not your cup of tea, I suggest you check other alternatives such as hiring a taxi driver to show you around (Taxis VIP Granada offers English-speaking chauffeurs with high-end vehicles at very reasonable fares) or focusing only on visiting a few well-known spots of Granada, combining walking with the public transport (feel free to contact Infinito eBikes for further information). Whatever option you may choose, your will probably be hungry again, so you can either try and compare the tapas from different bars or eat a menu at a restaurant. 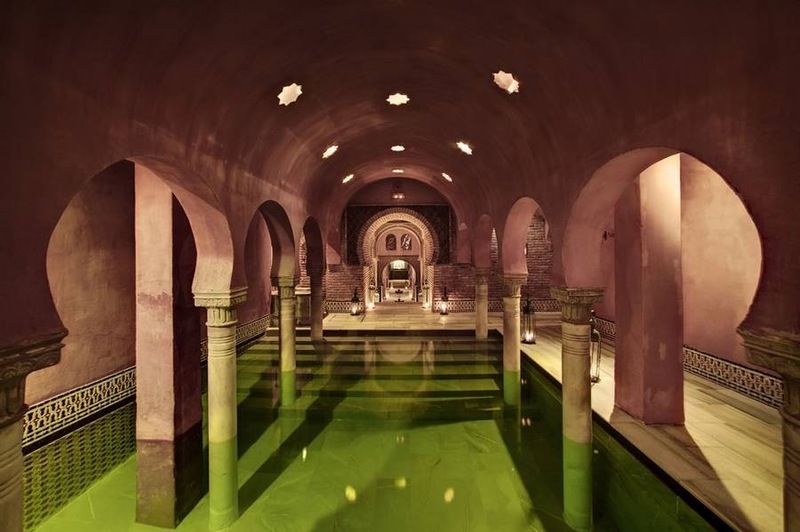 Finally, it is time to relax and take in all the beauty you have seen while having the traditional Arab bath at the Hammam Al Andalus, the first Arab baths in Europe that have been reopened after their closure in the sixteenth century. Located near Plaza Nueva, at the foot of the Alhambra, on the ruins of an old hammam, they offer the ritual of the Arab baths, a soothing massage together with aromas and tastes of the past.